It’s a Stick-Up. Your Money or Your Health! When I use this insurance the medical scheme often only covers a portion of by medical bills. In fact this year, despite being a healthy person in a healthy family, of claims totaling R17 000 just over 60% have been covered by my medical aid. I’m relatively lucky. Touch wood, my family don’t suffer much ill health – we know this could change within a second which is why we pay for the insurance. Medical aid scheme members who get cancer or a mental illness, will tell you a much worse story. In some instances the costs of medical care for catastrophic illness like cancer can bankrupt a family. The Heart of Private Healthcare, a report compiled by SECTION27 in 2014, told the stories of patients who experienced exactly this. In 2014 as a result of widespread complaints about rising prices and declining benefits the Competition Commission set up an inquiry into the private health care market, called the Health Market Inquiry (HMI). 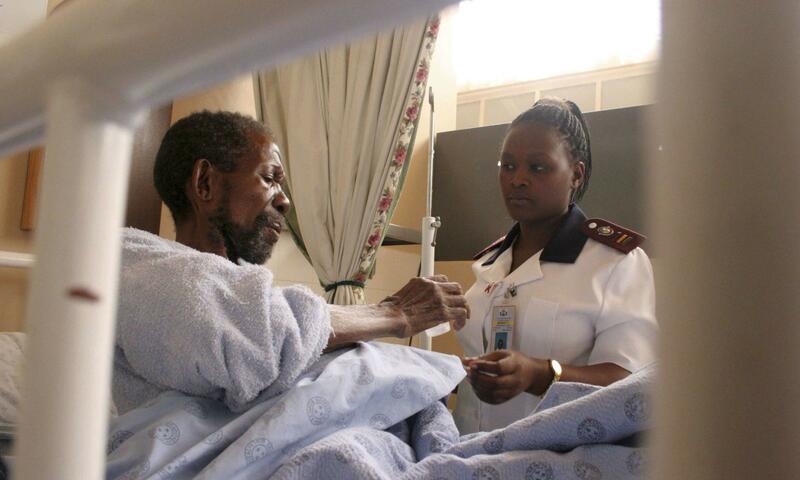 A panel of independent experts was appointed, chaired by former Chief Justice Sandile Ngcobo, and it began a slow, patient process of compiling and studying the evidence about the private health market. The inquiry has been a mammoth task, involving the study of over 43 million individual patient records, 11 million admissions, numerous written submissions and specially commissioned studies. At the beginning of July 2018 it published its Provisional Findings and Recommendations in a 479 page report, backed up by lots of mini-reports and annexures. It’s a complex, dense and evidence-heavy report. The recommendations made by the HMI may be a once-in-a lifetime possibility to make private health well again. Over the period 2010 – 2014, the average expenditure per private medical scheme member increased by 9.2% per annum. After adjusting for factors such as inflation, age, members’ plan type, gender, disease profile and membership movement, the unexplained (or residual) increase in spending per member was still greater than 2% per annum in real terms. To put this in context, 2% of spending amounts to around R3 billion in 2014 terms, that is R330 per beneficiary per annum that could not be explained by factors rationally expected to drive expenditure. According to the Competition Commission nearly nine million people in South Africa (16.9% of the population) are members of medical schemes. Many of them feel resentful. They feel they pay a lot to medical schemes yet have to pay still more out of pocket when they need care. We ‘choose’ to use private health care in the shadow of Africa’s largest public health system, a system that is staffed by some of the best specialists in the world, providing some of the best health programmes in the world. But we do so because the public health system is mismanaged, characterised by long waiting times, drug-stock outs, poor infection control and is stretched beyond the limit. So the truth is that we use private health primarily out of fear and convenience. When you have a health need it needs to be met. The HMI report confirms that premiums are rising and benefits are falling. As one sees the grandiose and ostentatious new buildings of medical schemes administrators going up in Sandton, many wonder aloud whether our premiums pay for our more than just our health. Similarly, as a new private hospital seems to spring up on every well-heeled corner suspicions grow that our health insecurities are feeding a highly profitable business that is adding to inequality. Judging by who are the top income earners it’s also making some people very rich. The HMI report suggests that this is possible because most medical scheme members don’t know what they are paying for. Neither are they able to judge the quality of care they receive. In fact, they often don’t know whether the healthcare they receive really helps them or even if they need it. Economists call this an ‘information asymmetry’ – put simply, the inequality of knowledge between me, the user, and my health care provider (be it a broker, the scheme itself or a specialist) leaves me vulnerable to exploitation. But it’s not just my personal health or pocket that suffers. The way the private system is run impacts negatively on public health – and vice versa. Expenditure on private health, where R235-billion is spent on nine million people, overshadows the R201-billion the government spends on the other 44 million. Yet the two systems are tied at the hip: they have overlapping staff, overlapping regulatory institutions, and of course an overlapping population for whom healthcare is a right. So as we talk about giving real meaning to the Constitutional right of access to health care services, it’s important that we address the strengths and weaknesses of both systems and not just the easier-to-target public health system. But before I go there, let me make several points to blow some clouds away from this issue. For the time being, the private sector is an indispensable part of our health system and economy. It has world class facilities and specialists, as well as a dedicated and a mostly ethical workforce of General Practitioners, nurses, specialists, hospital staff and administrators. Private doctors are feeling picked on and many are fleeing the country so it’s also important to stress that the HMI’s findings are not against the health professionals; they are against the systems that have developed in the absence of adequate regulation and oversight of private health care. The HMI provides evidence of an over concentration in ownership of private hospitals; they point to the power of for-profit medical scheme administrators vis a vis the not-for profit schemes they manage; the absence of accountability of Trustees, consumer ignorance and the collapse of price controls (as one way to keep prices low). All these factors have combined to create a perfect storm that drives up costs. The words the HMI uses are polite: “Supplier-induced demand”, “unexplained expenditure” and “over-servicing”. Finally, it’s not only the rich that benefit from the private health market. If we count the elite as being the top 5% of earners (and their dependents) in South Africa, they number around two million people. That means that the other seven million of us who use private health are middle class or on low incomes; this includes most members of trade unions, whose leaders negotiated medical aid as an employee benefit many years ago. We spend over R200-billion a year on our health and then another R4-billion on the services medical aids refuse to cover. So, given that it covers so many lives and given the corresponding incapacity of the public system to take us into its arms, it is clear that we need the private for-profit health sector if we are to realise “everyone’s right of access to health care services”. However, that should not make us hostage to (mis)fortune or overlook the duty on the government to intervene in private markets to protect and advance human rights. And this is where the HMI report becomes very important. Its overall finding is that private health care is characterised by “market failure”. In response, its recommendations are not a “private health grab”, but reasonable, well rationalized, well researched recommendations that will benefit the whole health system. In this respect a vital finding of the HMI concerns the lack of co-operation, planning and sharing of resources between the public and private system. A cold war between these two systems is in nobody’s interests. It means that while hospitals are full to bursting one side of the road (public), they are half empty on the other (private). The public health system turns its demand away, often to die at home; the private system has to specially manufacture by ensuring that it’s much smaller population over-utilises its most expensive services. “While there is excess capacity in most provinces in the private sector, there are widespread shortages in the public sector throughout the country. The national bed population of the private sector exceeds that of the public sector, despite servicing approximately 16% of the overall population … [Thus] the capacity needed in the public sector to increase accessibility to public health care is actually available as excess capacity in the private sector”. The HMI report has been published at a rare moment of opportunity for a new dawn in health reform in SA. In the context of National Health Insurance (NHI), health systems are getting closer and more honest scrutiny. President Ramaphosa admits there’s a crisis in the public health system and, in the face of the evidence compiled by the HMI, there’s little point denying the crisis of private health. However, now is not the time for blame or political point scoring – too many people are paying the price. Activists need to force a new consensus on health reform not further divisions. The HMI contains a raft of important recommendations for regulations, systems for effective and fair price control and institutions to oversee the market. But unfortunately the Competition Commission and the Department of Economic Development have done next to nothing to publicise and simplify its findings or to generate debate. Consequently there is a danger that if we do not pay the recommendations proper attention they will get subverted by those parts of the private sector that do benefit from the status quo, the three very profitable hospital groups, or that they are just overlooked by a faction in government fixated on NHI and ideologically wedded to a different path of achieving universal health coverage. The best way to prevent this from happening is to ensure that citizens have their say and are heard by the Competition Commission. Regrettably the date for public submissions closes on 7 September 2018. Contact the HMI Inquiry Director Clint Oellerman at ClintO@compcom.co.za and ask that the period for public consultation be extended. But in addition scheme members can contact their administrators or scheme Trustees about the findings of the report or challenge the Minister of Health to accept and implement the recommendations. The HMI has done its work. Now is the time for your active citizenship – or forever hold your peace.